We are homesteaders, providing our family with as much food as we can from our own land, as faithfully and sustainably as we can. We share our journey in hopes that we can help others create a sustainable journey of their own. 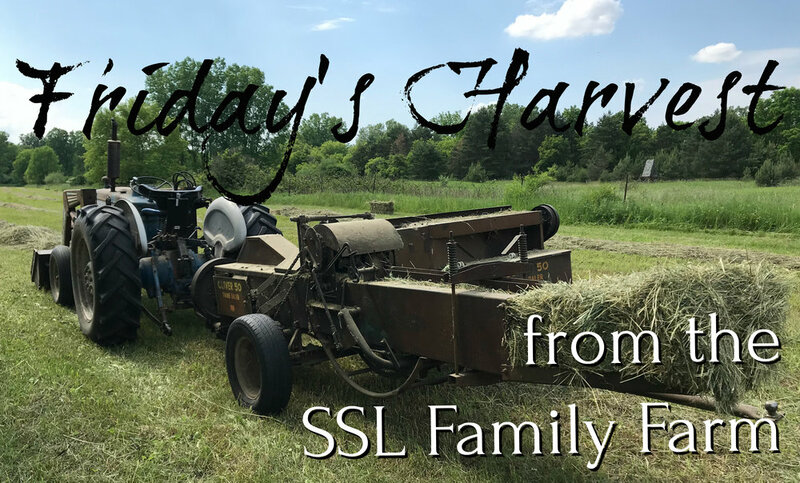 The SSL Family Farm is a 25-acre farm in southeastern Michigan. Wherever you live, YOU CAN live sustainably and YOU CAN grow your own food! Don't know where to start? Click on Beginning The Journey. We think the ultimate meal is the one you produce entirely yourself from seed to plate. You can grow your own food. Take advantage of our gardening best practices! Free plans, how-to's and step-by-step instructions that are guaranteed to save you money. Don't hire someone to do something you can easily do yourself. We also share some of our favorite homemade recipes that will help you cut down on chemicals and processed food. Raw honey! Honey bees are an excellent, sustainable solution to any backyard or farm. Learn how to raise them and build your own hive. Chickens are the gateway animal to homesteading. They are an all-around great resource for food and compost. We offer free chicken coop plans, as well as tips on care and feeding. Goats are extremely friendly and make excellent companion animals. Follow along as we have six pregnant goats due to give birth in the spring of 2018! We also added a breeding pair of American Guinea Hogs to our farm in December 2016. Free range, pastured pork!